University of Kansas law professor Andrew Torrance launched a legal analytics course last semester, allowing law students to set themselves apart in the workforce and think critically in real world situations. “The law deals with every aspect of society, and increasingly numbers, statistics, data, especially big, big data, artificial intelligence — these approaches are becoming the favored way to interpret the world, including in the context of the law,” Torrance said. 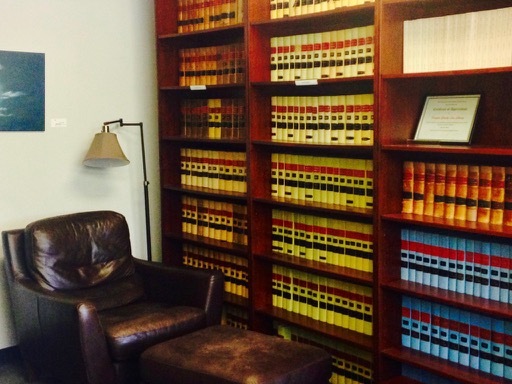 Torrance's legal analytics course focuses on basic statistics and data analysis in law. “I tried to teach everything from the basics on upwards and also tried to teach it in ways where the students didn't need to master all of the fancy mathematical theory behind it, but instead they were able to master the general principles, and they were able to apply it in practice,” Torrance said. During class, students were able to look at real life examples of how legal analytics can be of use outside the classroom. In one of Torrance's examples, he talked about human smuggling rates within three regions of the United States. “We put all the data on the board in front of the class, and we tried as a class to make a guess as to whether it was higher in one region than another, and we all decided that by the way the data looked, that the middle of the country had the highest human smuggling for the whole country,” Torrance said. However, with further analysis, the students were able to find this was not the case. While this scenario was able to trick a majority of the class, the example helps prepare students for situations they may face in a real life setting. “To me, a class that teaches how to apply this body of knowledge to law provides law students and attorneys with basic approaches necessary to navigate the increasingly quantitative field of law.” Torrance said. This class was also a popular option among law students at the University. According to Torrance, 20 people out of around 300 students signed up for the class. “I guess I had about 8 percent of the law school in my class," he said. The class is held as a discussion-based course to allow students to perform experiments and practice using data analytics programs used by legal service providers. Torrance hopes by teaching this course, he'll be able to prepare students and judges to make informed decisions and arguments based on properly analyzed data and statistics.